Greenhorn Valley is in South Central Colorado, about 20 miles south of Pueblo and anchors the southern leg of the Frontier Pathway Scenic Byway. Greenhorn Valley includes Colorado City, Beulah, Rye and San Isabel. 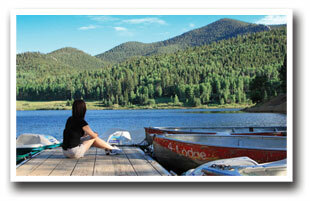 The San Isabel National Forest is ideal for family picnicking, fishing, hiking, snowshoeing and cross-country skiing. Whether you plan to stay in a cabin, pitch your tent, sleep in a motel room or park your RV, a vacation in Greenhorn Valley will be your new favorite Colorado destination. Lake Beckwith is COLORADO CITY'S premiere destination with a wide variety of outdoor activities: a cement path surrounds the lake allowing families to walk, bike or rollerblade to their favorite fishing or picnicking spot. Small boats including canoes, pedal boats, kayaks, and SUPs often dot the 70-acre lake during the summer months. Be sure to bring your golf clubs; Hollydot Championship Golf Course is open year-round and has a 9 and 18-hole course. Golf Magazine has featured this course many times over the years. In the foothills below the picturesque Wet Mountains, local legend claims that this secluded valley became the favored hideout for the horse thief, Juan Mace. In 1876 Mace's Hole became BEULAH, today the hosts a variety of annual events including arts and crafts shows, a 10K run, Yule Log Hunt, the "Beulahfest." Bishop's Castle is a hidden treasure in the Wet Mountains it was built by Jim Bishop one stone at a time; a smoking dragon will capture your imagination, making this an intriguing side trip near RYE. Rye is one of several historic communities dotting the routes once traveled by Native Indigenous peoples, and European explorers, traders, fur trappers, homesteaders, ranchers and gold prospectors as they journeyed West. A small stream near Rye was found to contain the last surviving population of Arkansas River Greenback Cutthroat Trout. 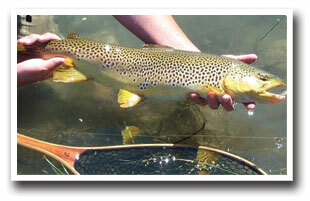 In 1996 the Greenback Cutthroat Trout became Colorado's official state fish! In the winter months, the LAKE ISABEL AREA provides ice-fishing, tobogganing, snowmobiling and cross-country skiing. 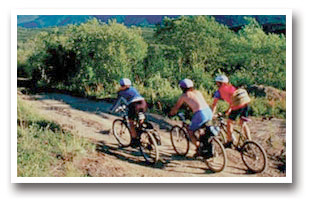 In Summer Greenhorn Mountain Road is best seen on a mountain bike however, hikers will also enjoy this trail with several access points, spend a day exploring the old logging road. 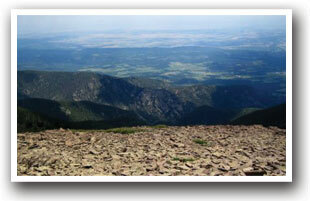 A trip up nearby Greenhorn Mountain, at 12,500 feet, offers a splendid view of the Sangre de Cristo mountain range. The area is also home to LAKE SAN ISABEL, which is open year round and is stocked by the Colorado State Department of Wildlife. Colorado's best end of summer event is the Colorado State Fair. It's a 30-45 minute drive north on I-25. Make plans for the last week August, the state fair has been a tradition since October 9, 1872. During hunting season from early September to Mid-November orange jackets can be spotted as often as deer and elk. Most folks forget that snowmobiling is a common pastime here in winter; the Snowmobile Trails near San Isabel on the western side the valley feature routes along Ophir Creek, Beaver Creek and Amethyst Creek. January and February are the best months to bring your sled and play in the winter wilderness. The Frontier Pathway Scenic and Historic Byway winds 103 miles into the San Isabel National Forest and passes through landscapes ranging from meadows to mountains connecting Colorado City to Pueblo through Rye, San Isabel and Westcliffe; while avoiding I-25. This south central Colorado route offers hiking, fishing, mountain biking, and horseback riding in the National Forest. 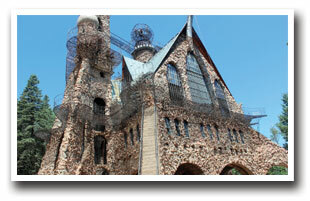 Be sure to make time for Colorado's man-made wonder, Bishop Castle, in the Wet Mountains. Greenhorn Valley is in South Central Colorado between Pueblo and Walsenburg just off I-25. From Walsenburg take I-25 north to Colorado City, exit 74 -- Colorado Highway 165. From Pueblo take I-25 south to Colorado City, exit 74 -- Colorado Highway 165. 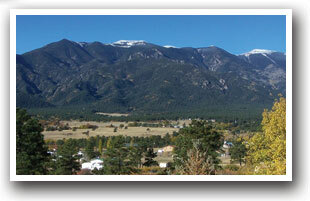 Or from Pueblo take Colorado Highway 78 to Beulah, a scenic 30 minute drive. From Canon City head east on Highway towards Florence, drive Colorado Highway 67 through scenic Hardscrabble Canyon.